We are located at 2146 East Johnson Street, Madison, WI, at the intersection of East Johnson Street and 4th Street. Look for the rectangular purple building with a bus stop in front of it. Come as you are to our 10am worship service on Sunday morning. Religious Education is offered during service for children of all ages. Our music program brings beauty and meaning to our time together. 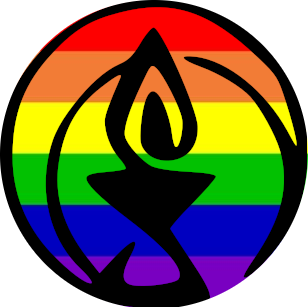 JRUUC is a Welcoming Congregation: We welcome and include people of all sexual orientations and gender identities/expressions. The JRUUC building is wheelchair accessible. There are assisted listening devices, large print orders of service, and Braille hymnals. A greeter will be happy to help you find any of these at the entrance to the sanctuary. While babies and children are always welcome in our sanctuary, JRUUC does provide volunteer nursery care during worship services. The nursery contains a bathroom with a well-stocked diaper changing station.